Special clinical interest in coronary intervention. Peter graduated with honours from Adelaide University in 1976. His internship, general medical and cardiology training were completed at the Royal Adelaide Hospital. Peter was awarded FRACP in 1981 and granted a Lions Post Graduate Medical Scholarship to conduct research involving post myocardial infarction patients. In 1982 he was awarded a National Heart Foundation Overseas Clinical Fellowship to travel to the Mayo Clinic, Rochester, Minnesota, where he undertook research in atherogenesis and thrombosis, particularly developing a pig model of acute arterial injury using angioplasty. During his time at the Mayo Clinic he also did fellowships in echocardiography and cardiac catheterization. On returning to Adelaide in 1984 he was appointed staff cardiologist at the RAH and joined Adelaide Cardiology in 1988. Peter’s interests are all aspects of clinical cardiology, including interventional cardiology and a special interest in pulmonary hypertension. He has a strong commitment to postgraduate teaching and is involved in an international research project in pulmonary arterial hypertension. He has held a number of positions in professional bodies including State Secretary of the Cardiac Society for 10 years and a member of the Cardiac Society Council for 6 years. 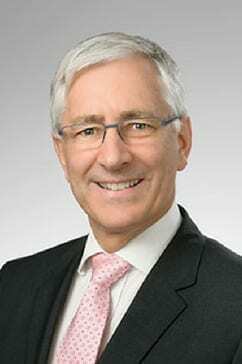 He is currently Chairman of Specialist Training Committee (cardiology) of the RACP, board member of the Cardiac Society of Australia and New Zealand and a Director of the National Heart Foundation (SA). In 2005 Peter was appointed Director of Cardiology, Royal Adelaide Hospital, and divides his time equally between the RAH and Adelaide Cardiology.